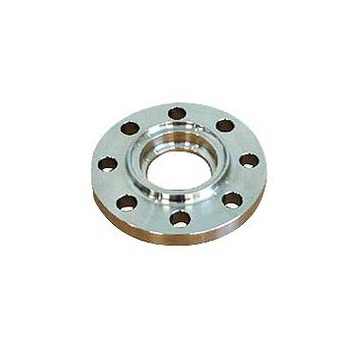 Duplex Steel Socket Weld Flange: ASTM / ASME A/SA 182 UNS F 44, F 45, F51, F 53, F 55, F 60, F 61. Applications : Recommended for orifice flanges. These work as substitute for slip-on-flanges in the cases where the diameter of the tube is very small and working pressure is very high. We, Dhanwant Metal Corporation are one of the prominent manufacturers, suppliers, traders and exporters of a comprehensive range of optimum quality Industrial Materials such as Plates,Strips,Sheets,Coils,Bars,cnc components, , Fittings, Valves, Flanges and Pipes. Offer product range is inclusive of Stainless steel, Nickel& its alloys,brass, copper, naval brass, hastelloy, titanium,inconel,ferro alloys, ferro silicon, lead, bismuth etc. In order to ensure optimum standards of quality, these products are precisely engineered using cutting-edge machinery, which is based on sophisticated technology. The offered products find wide applications in chemical industries, sugar mills, fertilizers plants, thermal power station, nuclear power station, paper mills and brewery industries. Offered products are available with us in bulk quantities at highly affordable market prices. We have been able to meet the bulk order of production, owing to the modernized infrastructure facility and a team of professional. Spread over a wide area of land, our infrastructure comprises of manufacturing, warehouse & packaging, in-house quality testing and sales and marketing units. The careful division of our infrastructure facility ensures that all the ongoing processes in our plant are carried in smooth and standardized manner. We have appointed a team of engineers and technicians in order to effectively handle and maintain different units of our infrastructure facility. Indian Subcontinent, East Asia, South & West Europe and South America, Gulf countries etc are some of the market, where we have successful exported our products.